I love boxing movies. I love Jake Gyllenhaal. And after Olympus Has Fallen (I still haven't gotten around to The Equalizer) I'm even warming up to director Antoine Fuqua. So I'm pretty excited about Southpaw, better known as That Boxing Movie Where Bubble Boy Got Totally Jacked. Now we've got our first look at the film via the trailer below, courtesy of Eminem's YouTube channel. Thanks, Slim Shady. Gyllenhaal's impressive musculature has been getting plenty of attention so far, but how about those teeth! Good god. Paired along with that mad dog stare and it looks like we're in store for a healthy dose of Flirting With The Edge Of Psychosis Gyllenhaal, which is easily my favorite of all the Gyllenhaals. 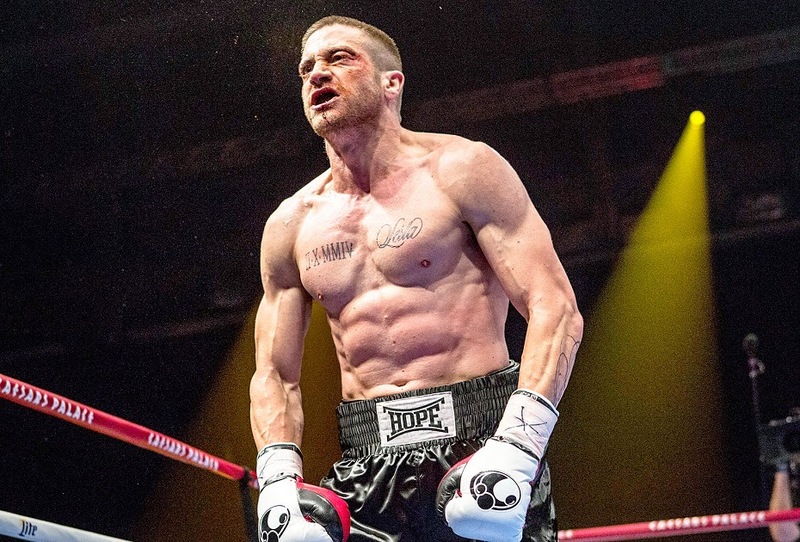 The guy is on a crazy hot streak right now and Southpaw looks like a worthy successor to Prisoners, Enemy and the criminally under-appreciated Nightcrawler. That said, I kind of can't wait to see what kind of weird left turn his career takes next. I wouldn't mind a resurgence of Goofball Gyllenhaal, to be honest.